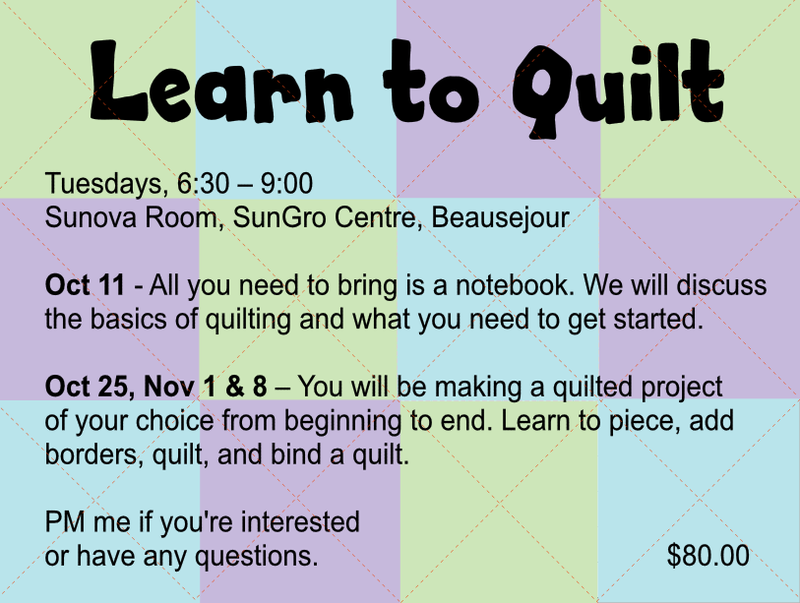 ​I will be teaching regularly at Needle Crafts & Studio in Beausejour, Manitoba. If you wish to be notified when classes come up at this location, email Jennifer@needlecraftsandstudio.com and ask to be added to her mailing list. You can also let her know what classes you would be interested in. 1230 pm - Label your Quilt! ​HANG IT UP - Learn a variety of ways to hang your quilts, using both permanent + temporary sleeves. QAYG TABLE RUNNER - See how easy it is to make a stylish and modern quilt-as-you-go table runner using just two fabrics. 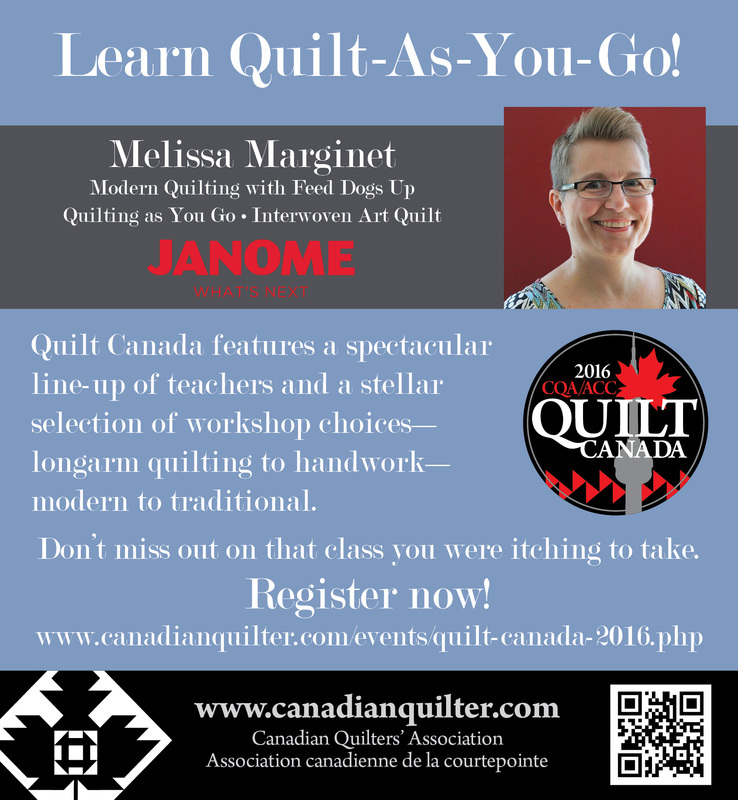 LABEL YOUR QUILT - There are so many ways to label a quilt, from pre-made tags to personalized and hand-made - discover new ideas during this mini-presentation. November 25 - Break it Up!